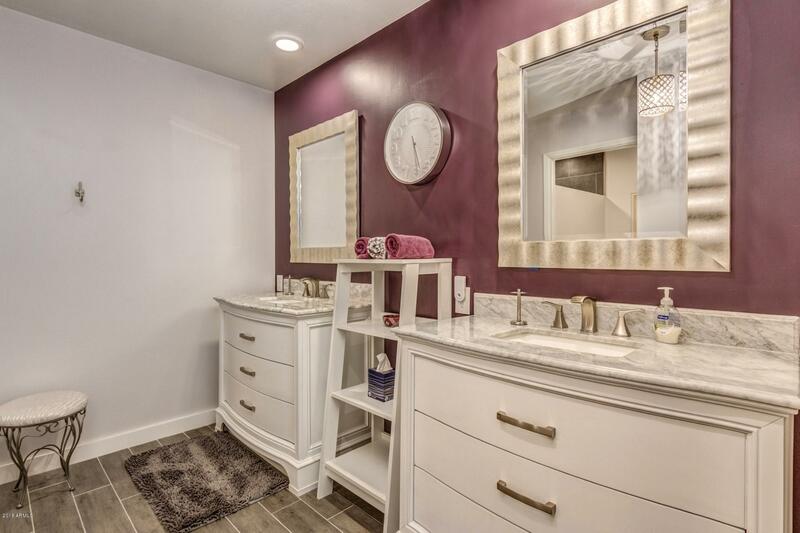 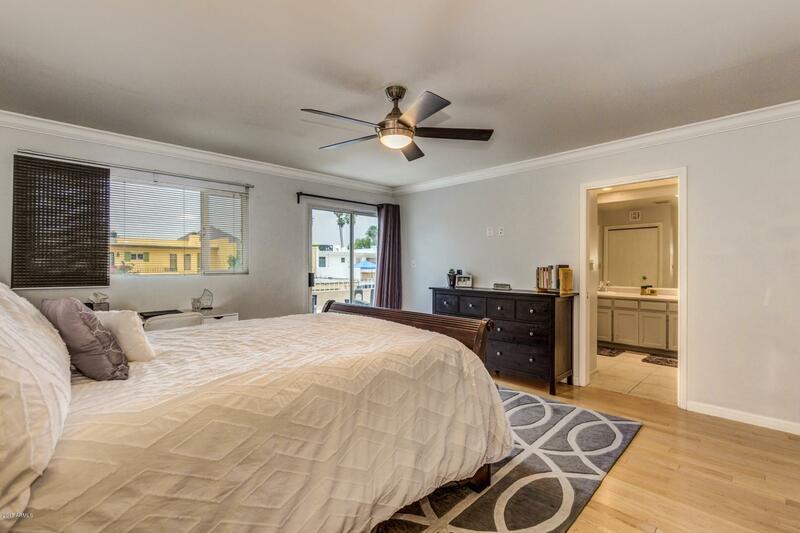 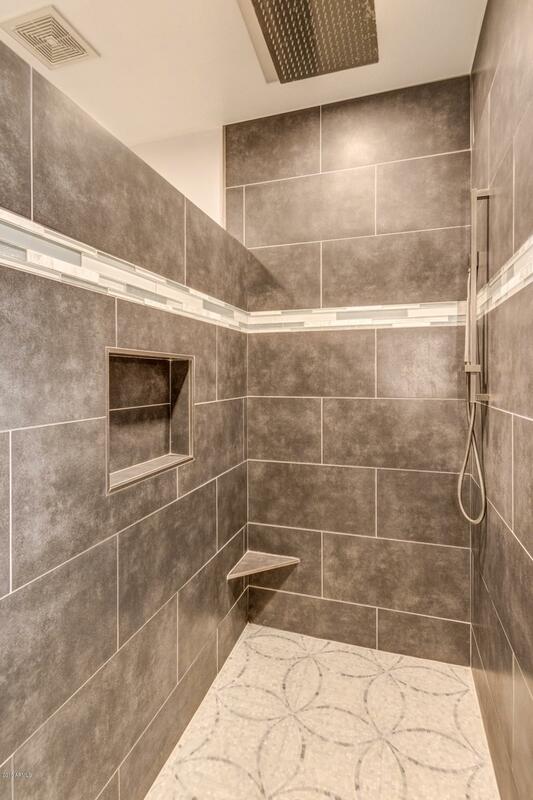 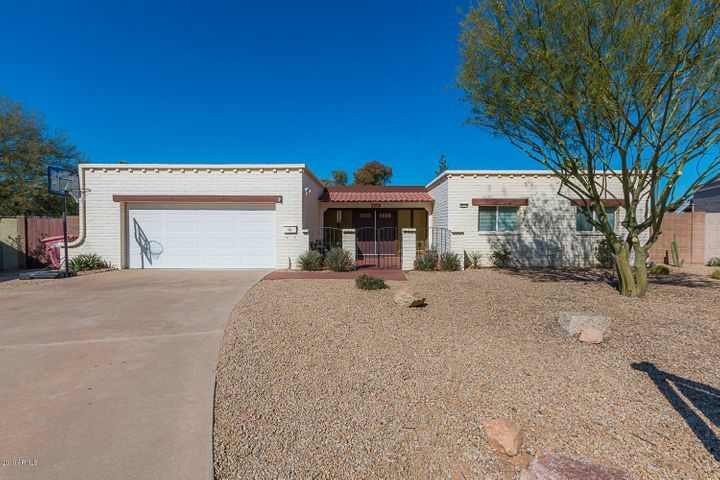 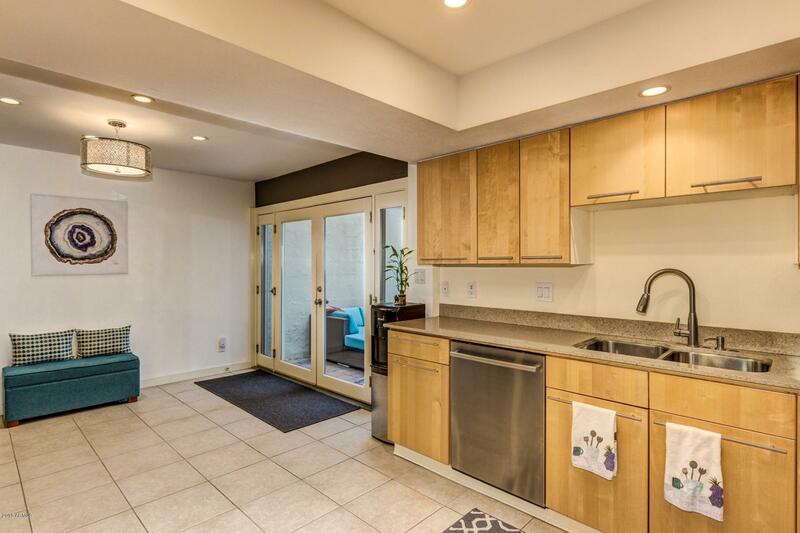 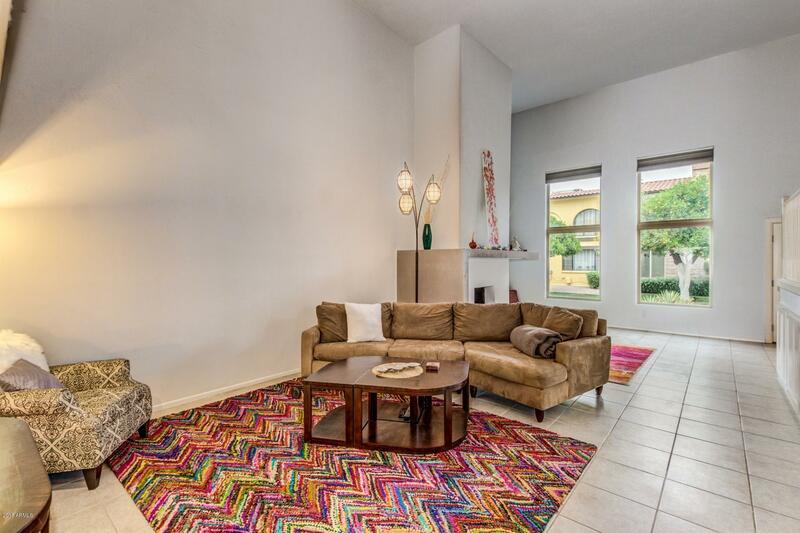 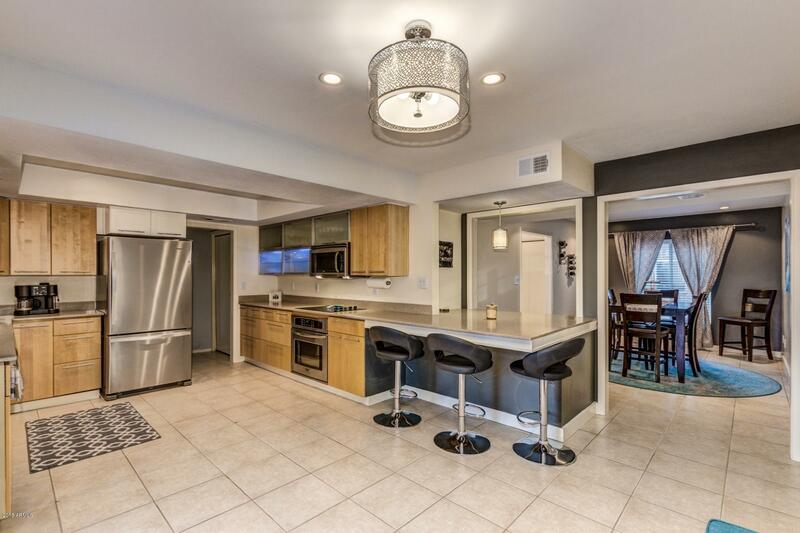 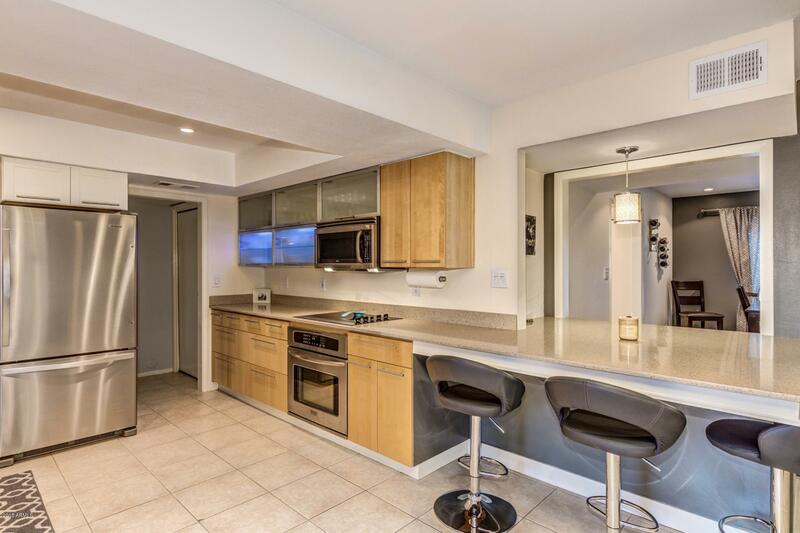 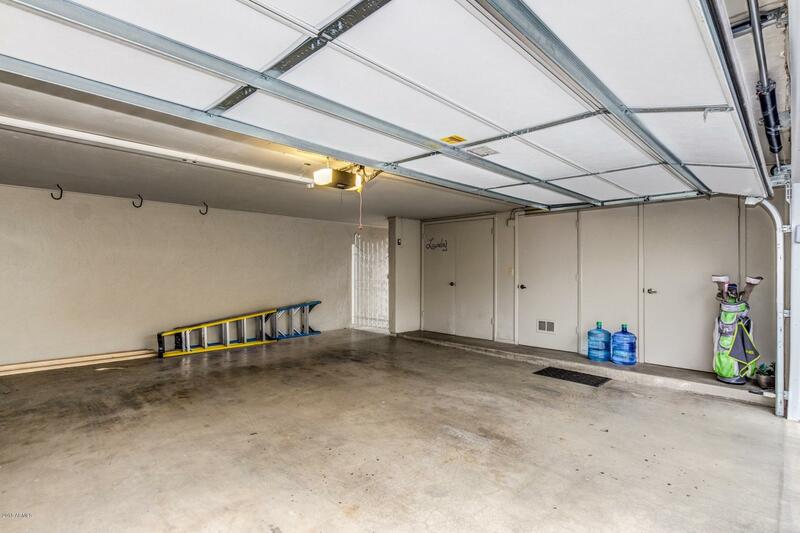 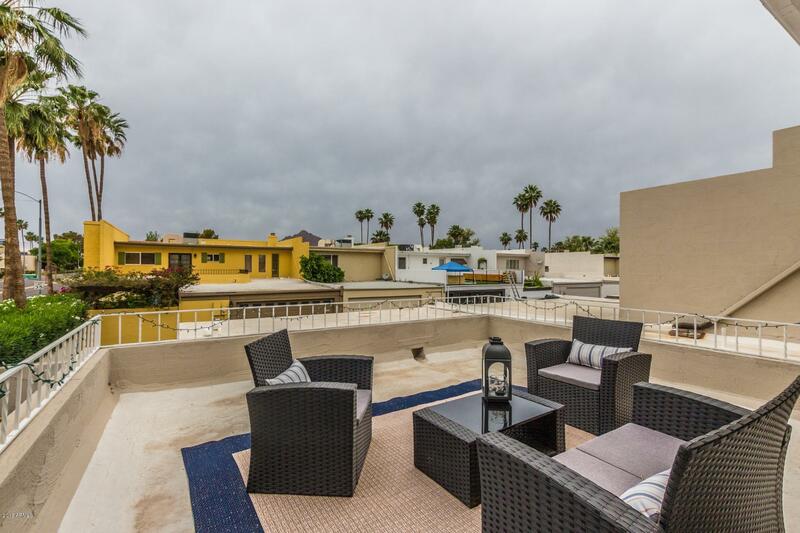 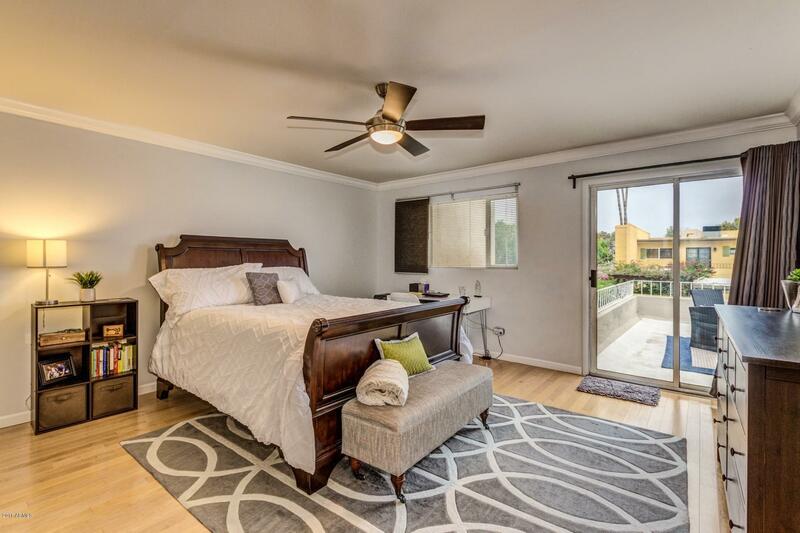 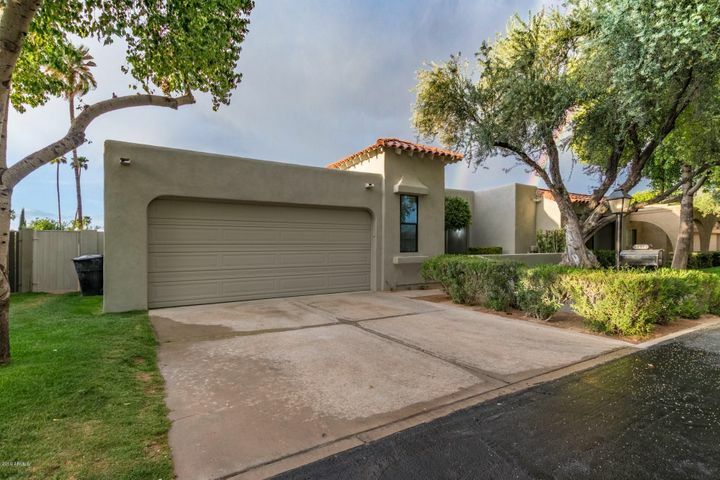 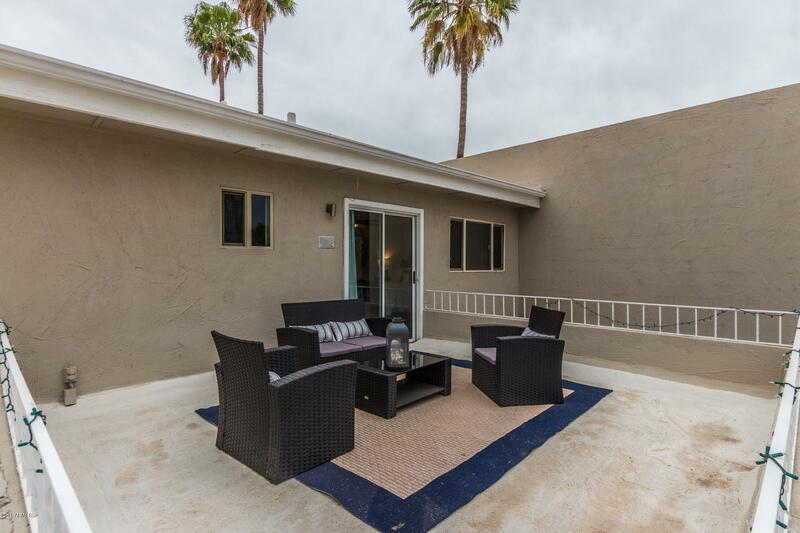 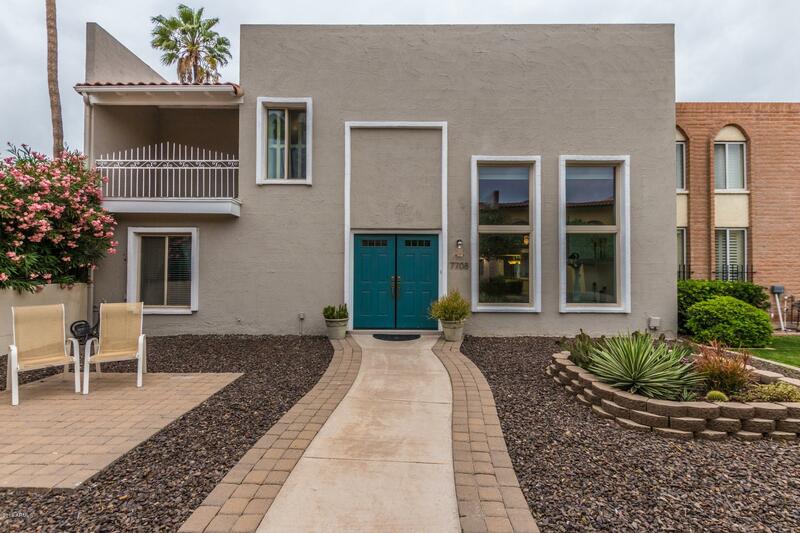 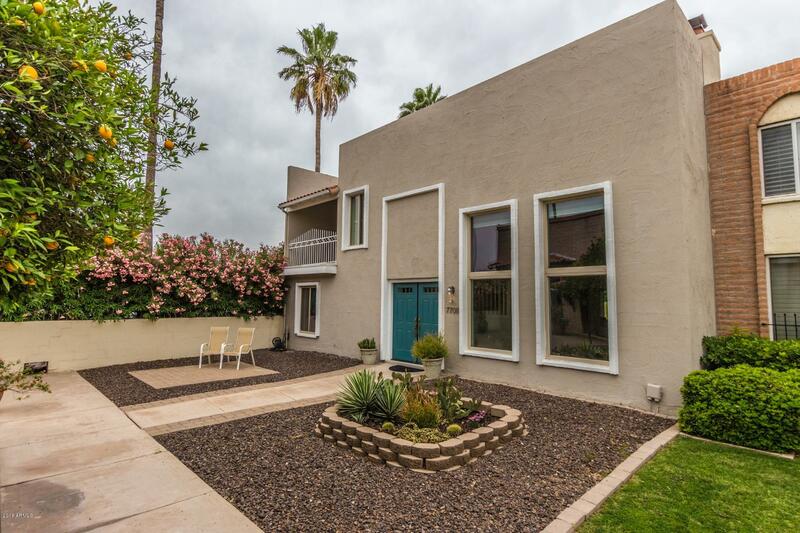 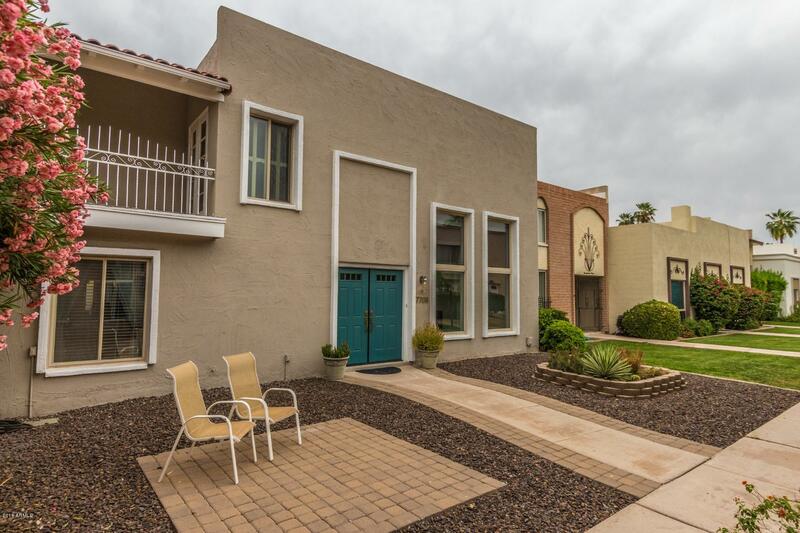 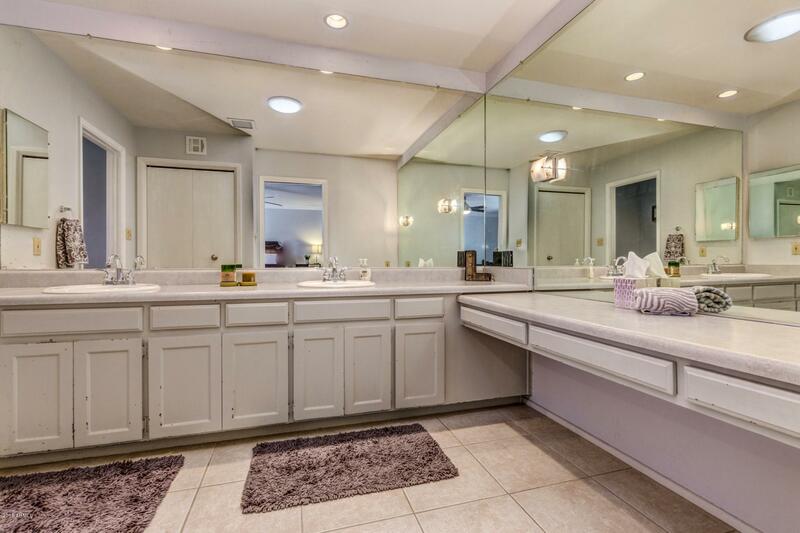 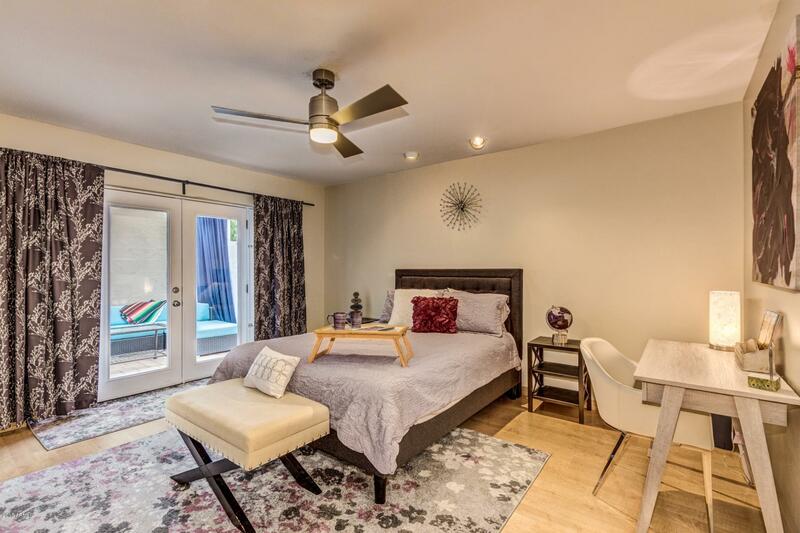 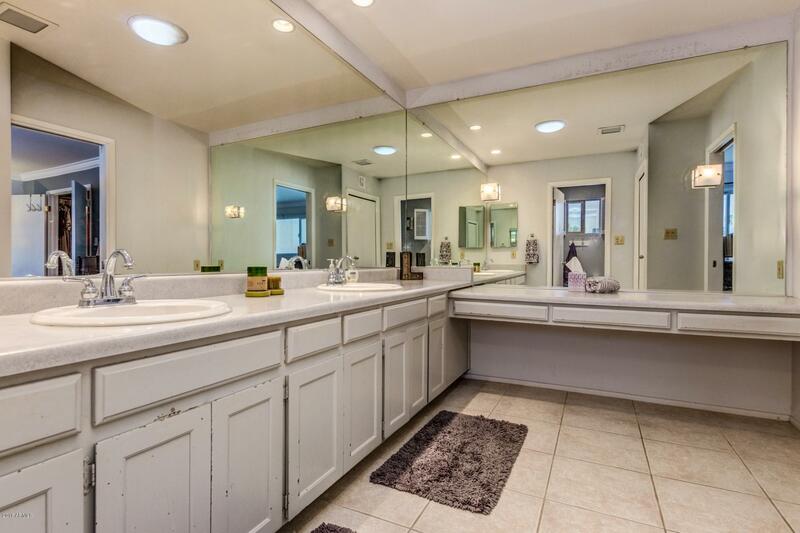 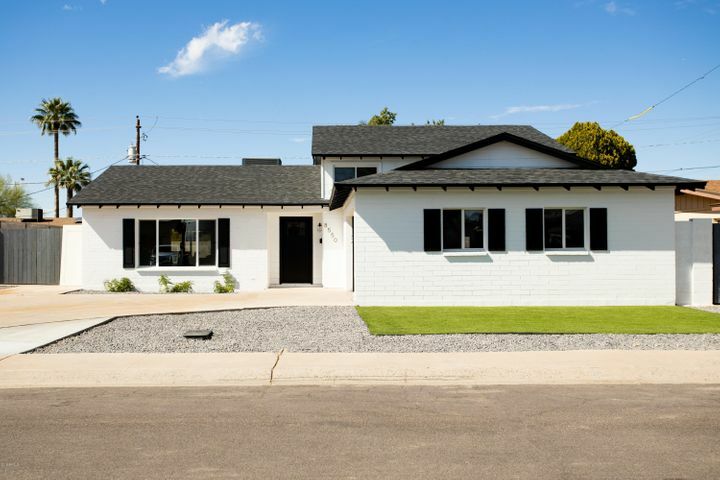 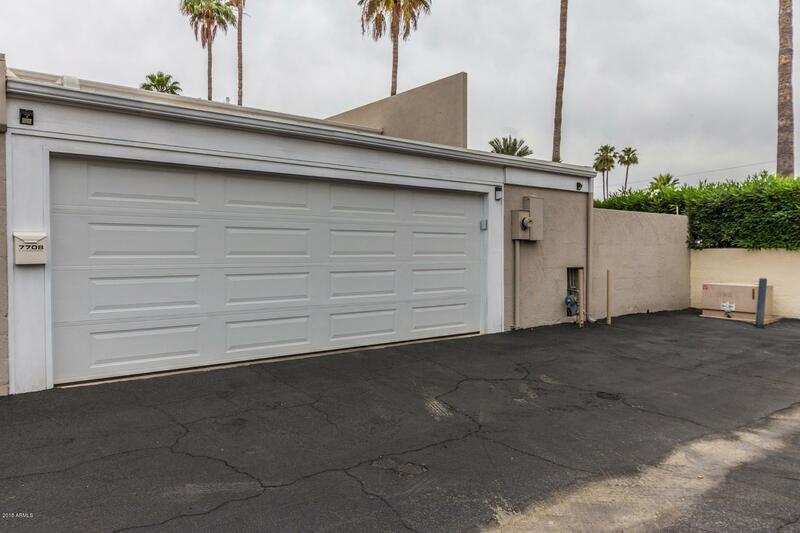 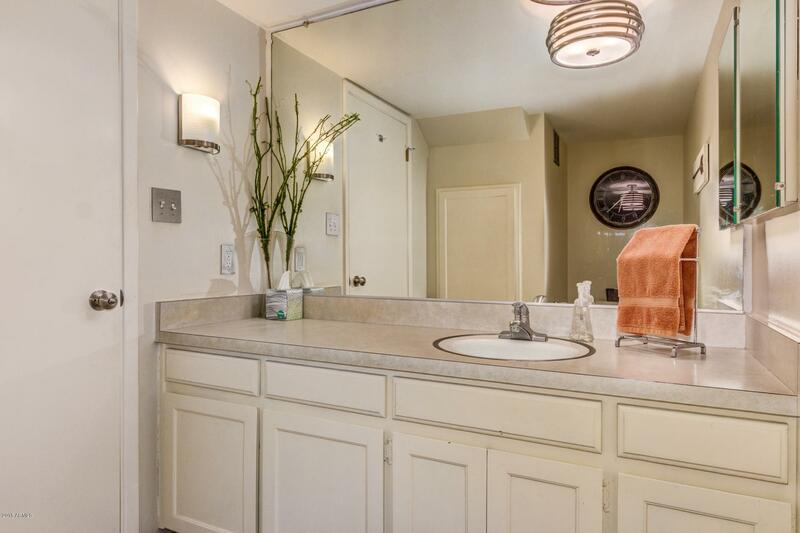 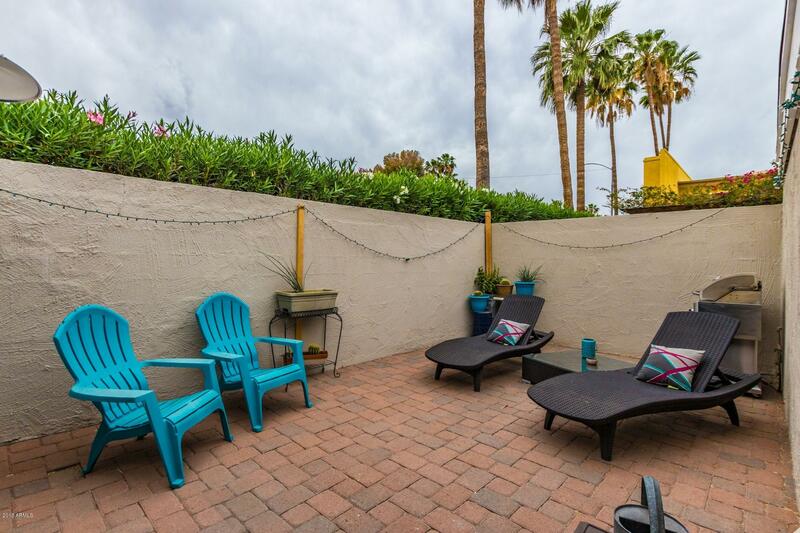 Convenient Scottsdale location and an amazing townhome with two master bedrooms! 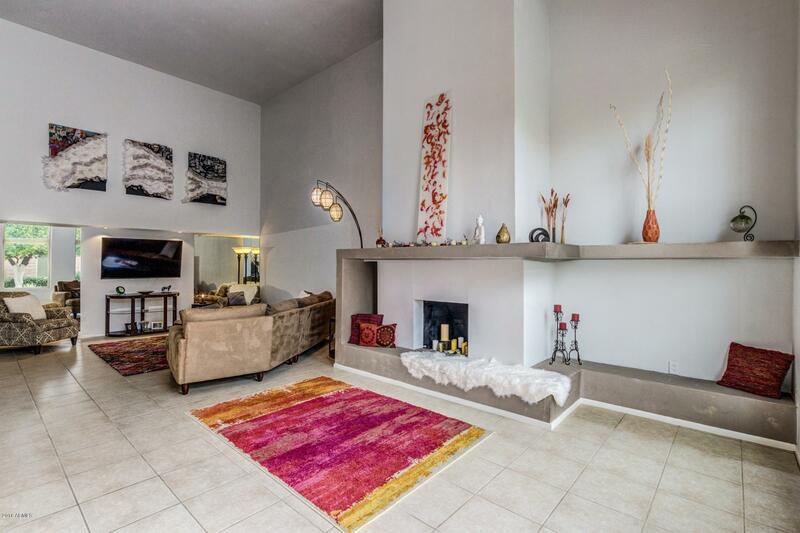 Close to Old Town Scottsdale for great dining, entertainment & shopping!! 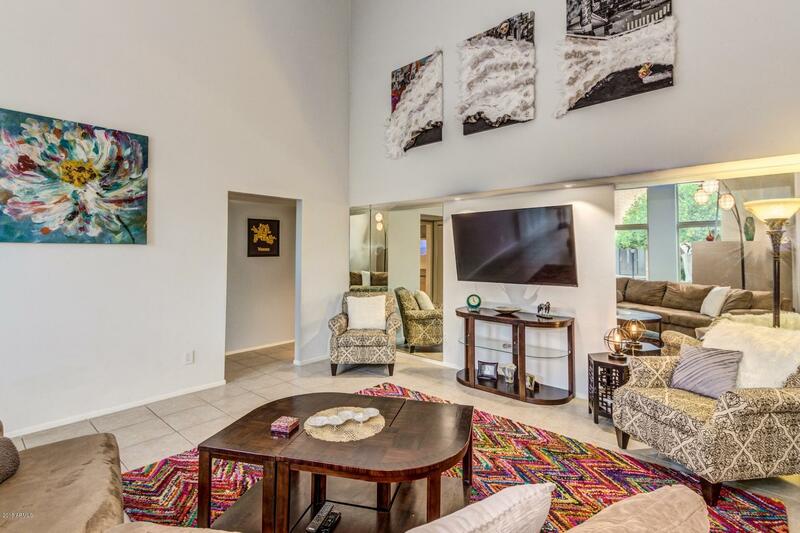 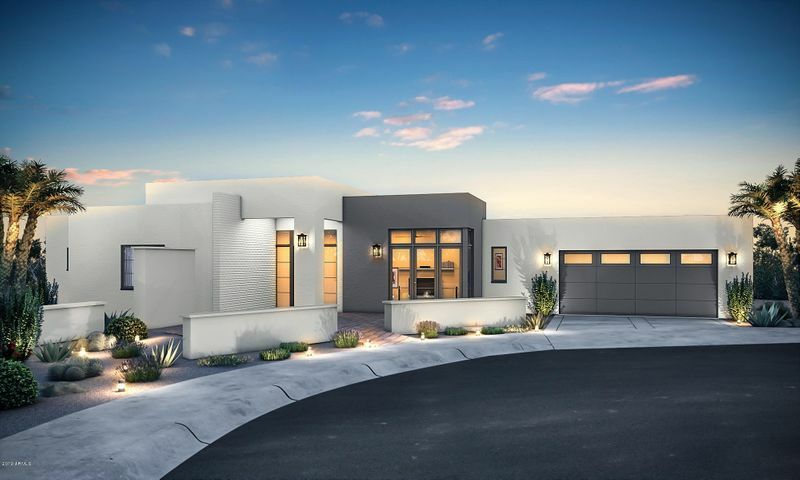 Beautiful contemporary interior w/an open floor plan, vaulted ceilings, and handsome concrete fireplace! 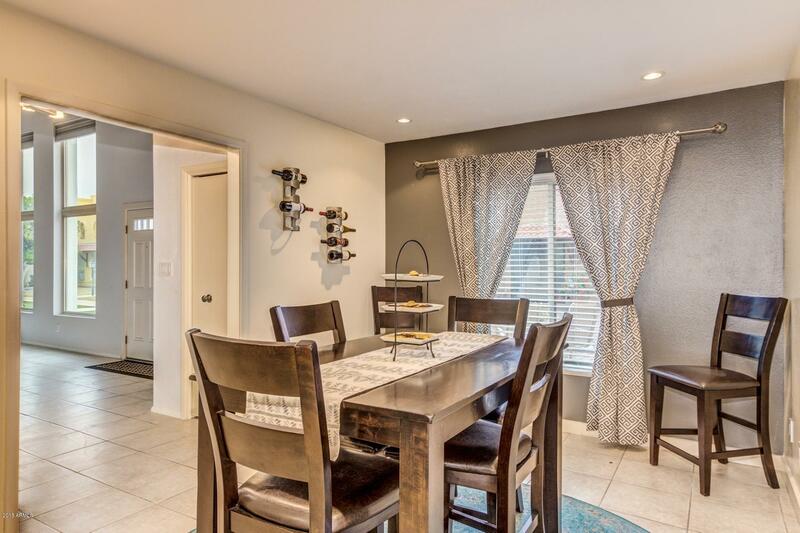 Formal dining room is great for hosting large gatherings! 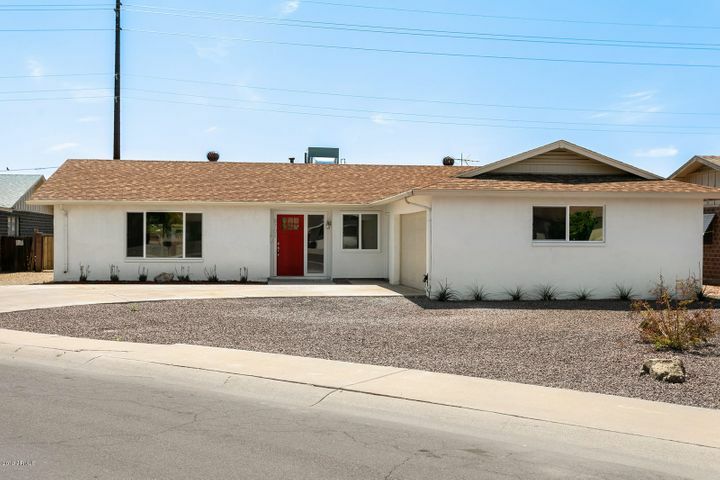 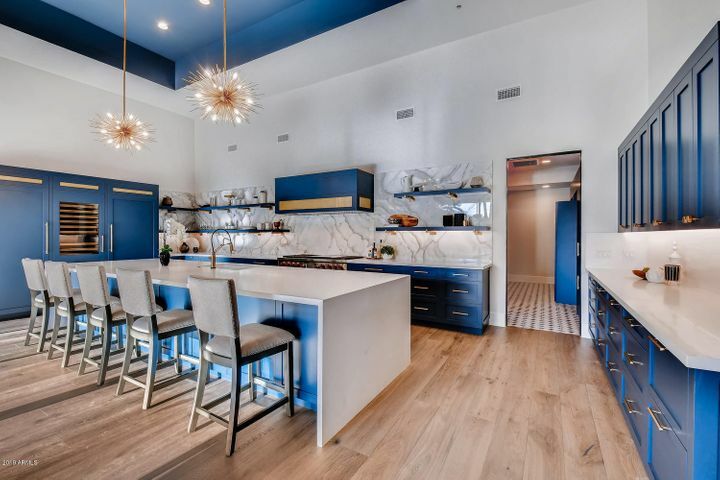 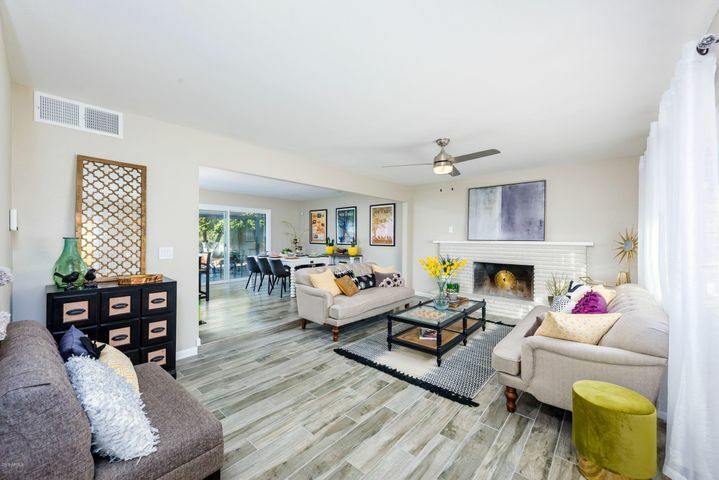 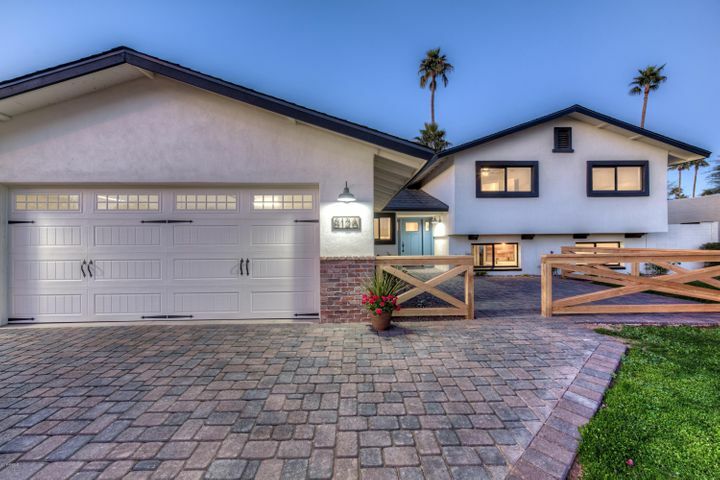 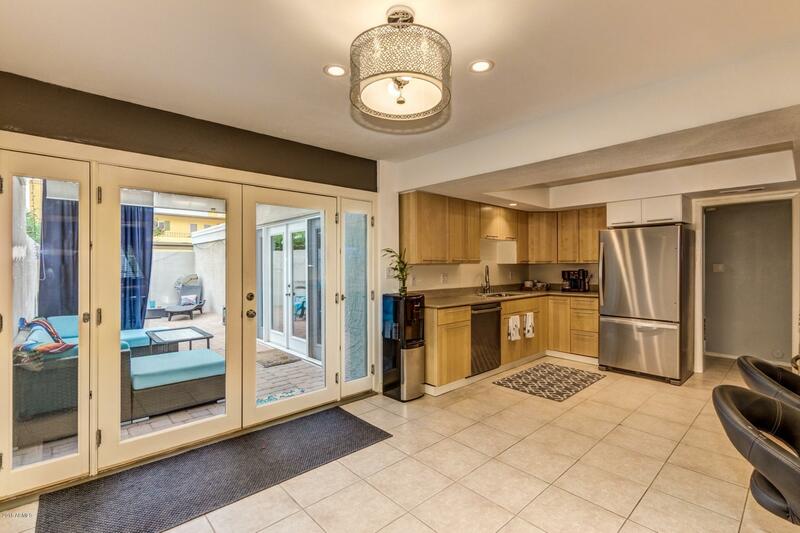 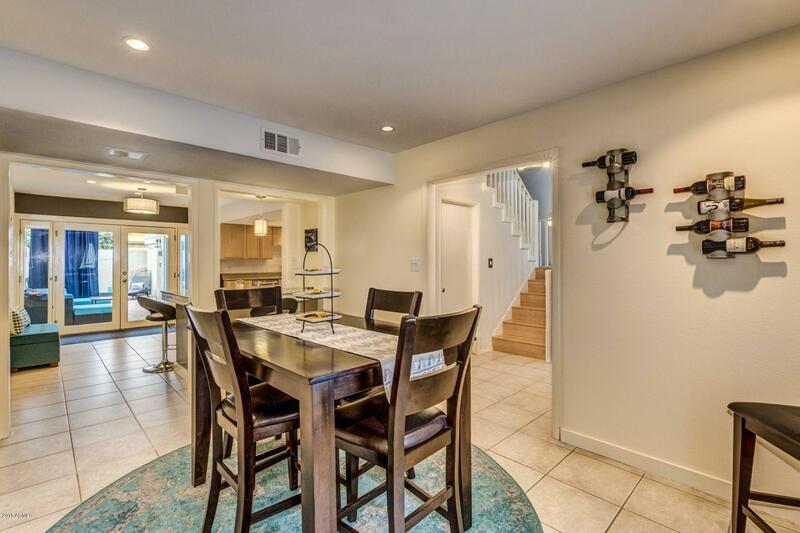 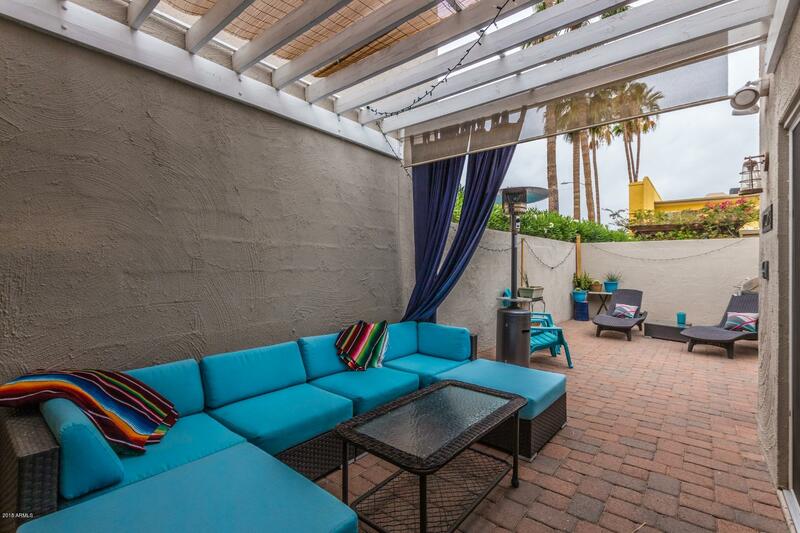 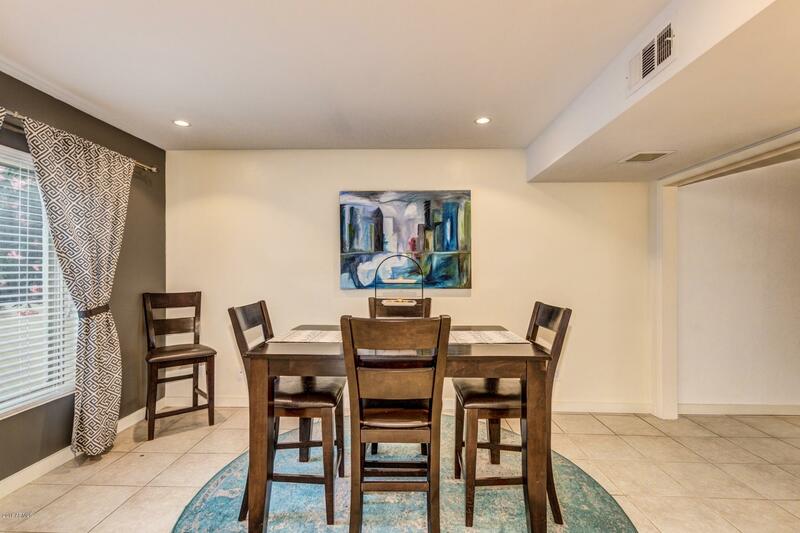 Upgraded kitchen boasts stainless steel appliances including refrigerator & dishwasher, quartz counters, custom cabinets w/lazy susan, breakfast bar, walk-in pantry & French doors to the private courtyard. 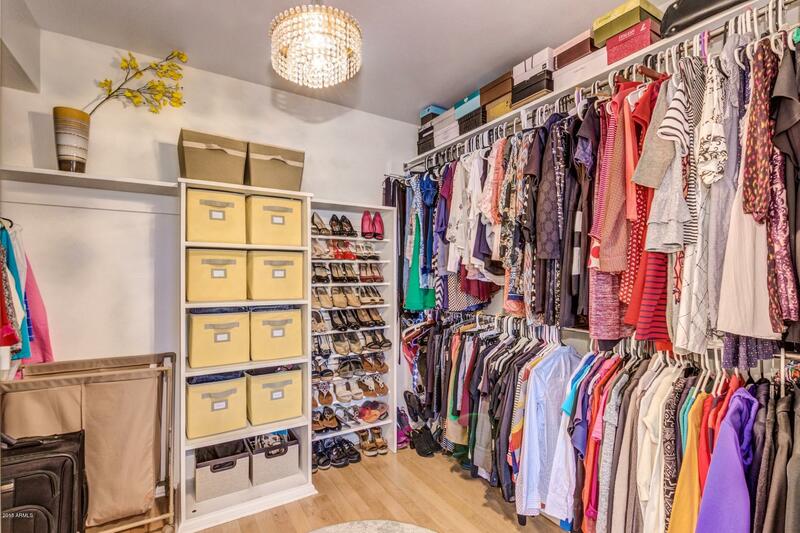 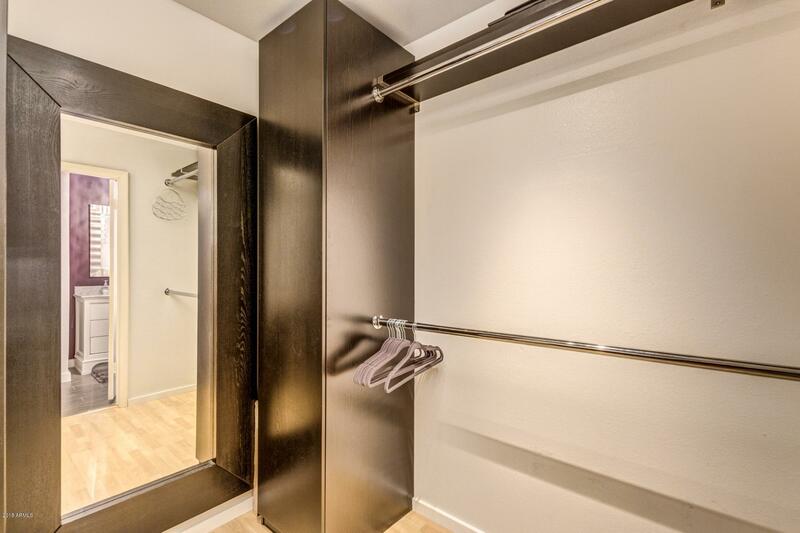 Both master suites have walk-in closets, private exits & ensuites. 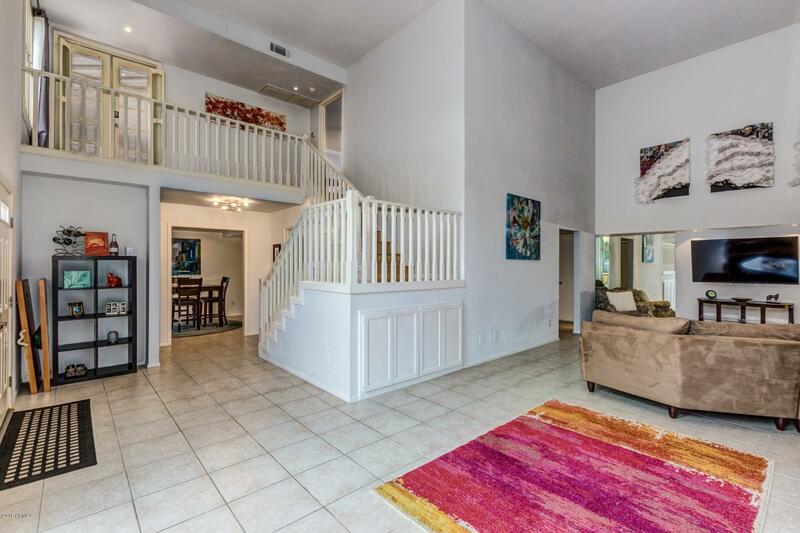 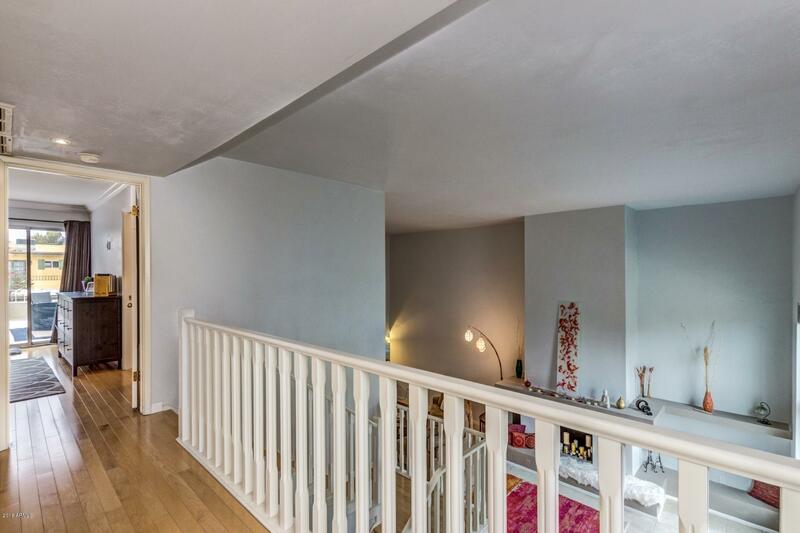 Master upstairs has balcony access. 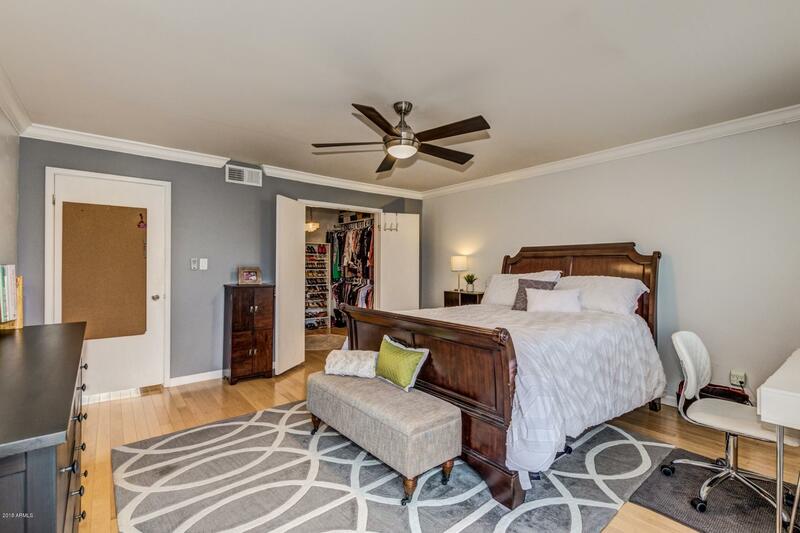 Newer paint in bedrooms and lots of closet built-ins. 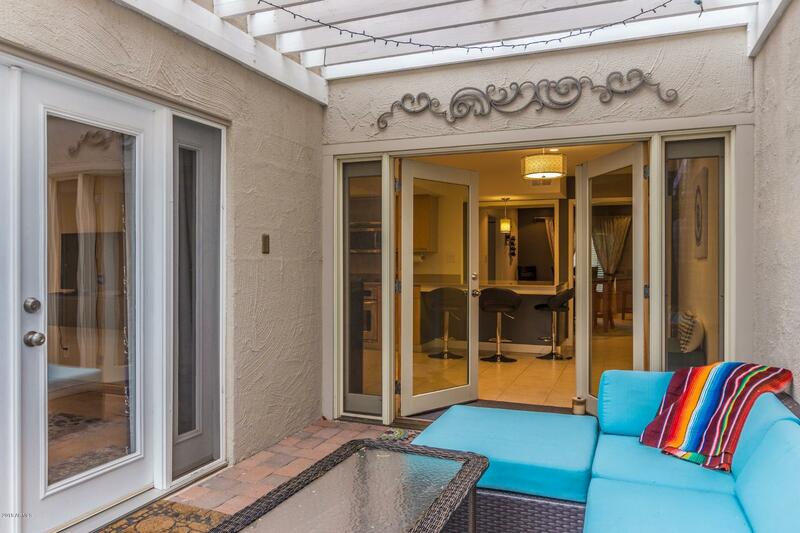 Private patio includes gas line for BBQ hook-up. 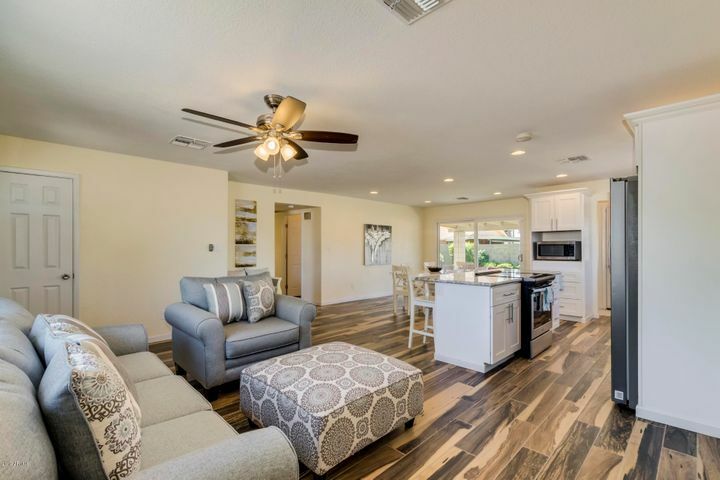 Community Dog Park & Pool! 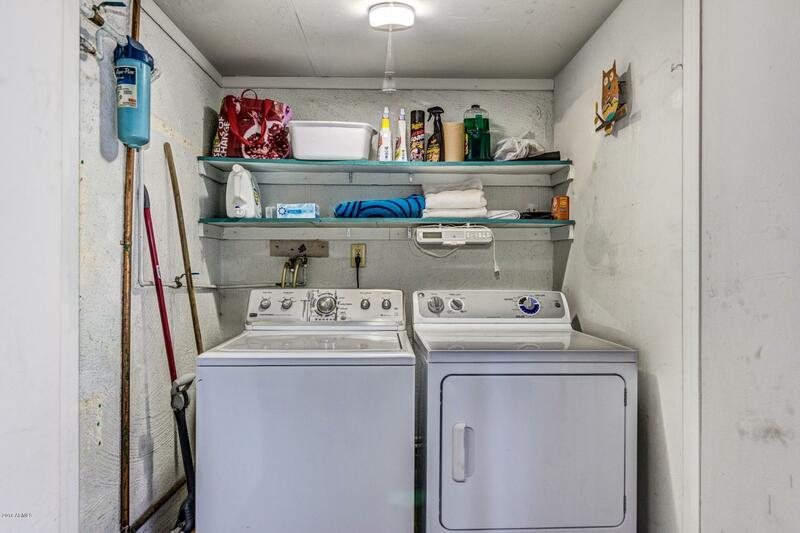 This home will not be on the market long.